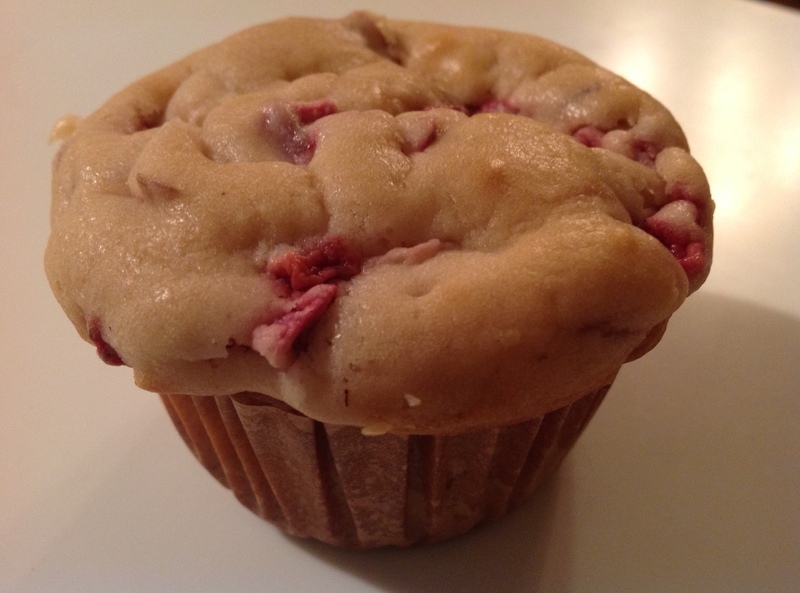 If these muffins look delicious, it’s because they’re chock-full of fresh Michigan strawberries and rhubarb. Of course, I adjusted the baking time, too. I still cooked them at 375 degrees, but began checking them in five-minute increments after 25 minutes. At 35 minutes, they passed the toothpick test. These muffins are super moist, likely thanks to the juicy strawberries. A perfect summer muffin — and breakfast.